Welcome to the Most Important Relationship of Your Life Revolutionary. Entirely bespoke. It will redefine everything you thought you knew. Your Longevity and Healthspan Attis is uniquely strategic. a highly-coordinated performance team assembled specifically for you, backed by cutting-edge science. in parallel can create rapid change. Suddenly, the impossible becomes possible. Attis is Redefining Health and Aging This is not about being healthy for your age, but about defying aging. It is not just about avoiding illness, but about peak function and high-performance living. It is an opportunity to surpass the norm and achieve something more. The Revolution Is Under Way Attis is at once devoted to you, and beyond you, disrupting the status quo and creating a new category. By investing in your health, you will also be helping the health of many others. Private Health IntelligenceSM Smart. Utterly personalized. to gain control over your health. We plan long term, remove the barriers between health fields, address the entire ecosystem that is you, and mobilize every resource to achieve your personal goals. Comprised of leading experts across disciplines, you will be surrounded by a highly-coordinated performance team assembled specifically for you, backed by cutting-edge science. Any one healthy behavior has value, but certain behaviors engaged in parallel can create rapid change. Suddenly, the impossible becomes possible. This is not about being healthy for your age, but about defying aging. It is not just about avoiding illness, but about peak function and high-performance living. It is an opportunity to surpass the norm and achieve something more. Attis is at once devoted to you, and beyond you, disrupting the status quo and creating a new category. By investing in your health, you will also be helping the health of many others. An unprecedented way to gain control over your health. Conventional medicine offers a poor solution for achieving long-term optimal health. The system is designed for acute and urgent treatment, which defines health as nothing more than the absence of illness. It is reactive, fragmented, and based on symptom management. But there is an alternative: Attis. Attis is leading a new revolution that shifts focus from curing the sick, to proactively upgrading the healthy. It is pushing the boundaries of longevity, challenging expectations about how we live. Specifically, Attis is a global company that offers annual all-inclusive memberships. Each member of this select community receives a highly-integrated performance team that comes right to their doorstep. The team is comprised of some of the industry’s leading minds across fields such as nutrition science, movement, lipidology, endocrinology, biomechanics, sleep physiology, and behavioral science. They are thought leaders designated to each member, based on their needs and lifestyle. From personal goals comes a 12-month strategic action plan. It is highly bespoke and results-driven. Evaluated with cutting-edge technologies and diagnostics, it remains open-ended to ensure it evolves with each member. As intimate or robust, the program is uniquely designed for efficiency to maximize health returns on time invested. Health is not incidental or predetermined by genes, it is the outcome of how life is lived. Any one healthy behavior has value, but they are also additive. Through correct sequencing of services, products, and testing, members experience exponential progress. Attis's innovative approach is not about reaching the average lifespan, but about maximizing each member's potential longevity. It’s not about settling for normal function, but about achieving optimal performance. It’s about redefining everything we know about health and aging. Guided by uncompromising integrity, and leveraging the unprecedented advancements in science, Attis is leading the medical revolution of the 21st century. 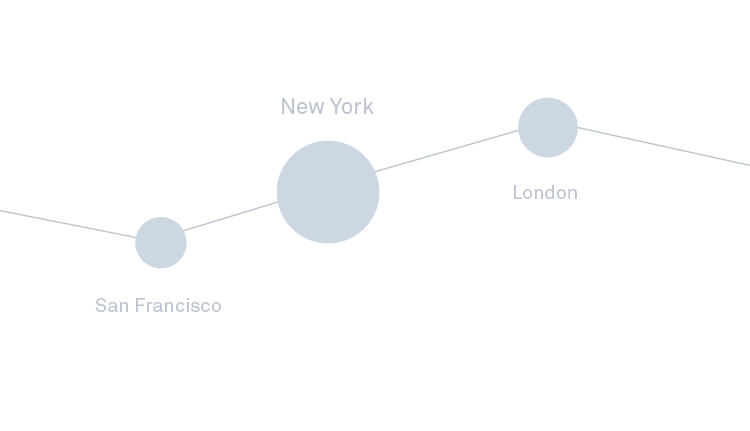 Attis is headquartered in Tribeca in New York City, with additional locations in San Francisco and London. By referral only, new membership opportunities are limited to ensure the quality of the service. To inquire further, email us. Attis is guided by a higher mission, to advance the lives of more than just its members. The Attis Foundation, which receives 20% of the company's profits, is devoted to improving the health of future generations through partnerships with community-based nonprofits. Additionally, Attis acts as a research hub, democratizing access to the vast knowledge accumulated. The loss of his mother to cancer in 2011 led Edan to the realization that no comprehensive solution for optimizing health existed anywhere, regardless of resources. And so began the long journey to build a global company that stood for science, mastery, and integrity. A company where disease risk could be greatly mitigated, and aging could be strategically delayed. Healthier than ever, and armed with a 40 member team, including some of the most renowned and innovative practitioners in the world, Edan sought to bring Attis to others. Edan directs the overall vision for Attis and is responsible for all operational and financial elements. His experience encompasses 15 years in the fields of private equity and venture capital. Edan earned his Masters in Real Estate Development from Columbia University, and his Law and Business degrees from the IDC. He is a member of the New York Bar Association. THE INFORMATION PROVIDED ON THIS WEBSITE IS FOR INFORMATIONAL PURPOSES ONLY. NOTHING ON THE WEBSITE IS INTENDED TO BE A SUBSTITUTE FOR PROPER MEDICAL ADVICE, DIAGNOSIS, OR TREATMENT. THE WEBSITE IS NOT INTENDED AND MUST NOT BE INTERPRETED AS THE RENDERING OF MEDICAL, NURSING, OR PROFESSIONAL HEALTH CARE ADVICE OR SERVICES, OR THE PRACTICE OF MEDICINE, NURSING, OR PROFESSIONAL HEALTH CARE IN ANY JURISDICTION. YOU SHOULD NOT USE THE INFORMATION ON THIS WEBSITE FOR DIAGNOSIS OR TREATMENT OF ANY HEALTH PROBLEM AND YOU SHOULD CONSULT WITH A LICENSED HEALTHCARE PROFESSIONAL BEFORE USING ANY MEDICATION OR NUTRITIONAL, HERBAL OR HOMEOPATHIC PRODUCT (INCLUDING BUT NOT LIMITED TO CONSULTING WITH A LICENSED HEALTH CARE PROFESSIONAL REGARDING ANY INTERACTIONS BETWEEN ANY MEDICATIONS, SUPPLEMENTS OR OTHER PRODUCTS YOU ARE CURRENTLY TAKING AND SUCH PRODUCTS), BEFORE STARTING ANY DIET OR EXERCISE PROGRAM OR BEFORE ADOPTING ANY TREATMENT FOR A HEALTH PROBLEM, OR IF YOU HAVE OR SUSPECT YOU MIGHT HAVE A HEALTH PROBLEM.ATTIS HEALTH DOES NOT PROMISE, REPRESENT, WARRANT OR GUARANTEE THAT YOU WILL ACHIEVE ANY PARTICULAR RESULT FROM USING THE WEBSITE OR ANY OF THE PRODUCTS OR SERVICES OFFERED THROUGH THE WEBSITE. Attis Health reserves the right to suspend, discontinue, delete, modify, or remove any content or functionality offered on the Website from time to time, without prior notice, without reason or liability, and/or to offer certain content or functionality only in various versions or in selected times, based on Attis Health’s sole discretion. Subject to the provisions of these Terms, the Website and all of its subdomains, contents, links, software (whether downloadable or non-downloadable), interfaces, chat rooms, forums, mobile products, services and products found on this Website, technology, user interfaces, profiles, widgets, messages, links, emails, text, data, databases, music, graphics, images, video, code, sounds, User Content (as further explained and defined below), all audio visual or other material appearing on or emanating to and/or from the Website, as well as the design and appearance of the Website and the accompanying information and documentation (collectively, the “Content”), are owned by or licensed to us, subject to copyright, trademark and other intellectual property rights under United States and foreign laws and international conventions. We reserve all rights to the Content. You agree not to engage in the use, copying, or distribution of any Content unless you are expressly permitted to do so by these Terms. You agree not to circumvent, disable or otherwise interfere with security related features of the Website or features that prevent or restrict use or copying of any Content or enforce limitations on the use of the Website or the Content. All product, brand and company names and logos used on the Website are the trademarks or registered trademarks (including, but not limited to the trademarks “Attis”, “Attis Health” and “Private Health Intelligence”) of their respective owners. Any use of any of the marks appearing on the Website, whether or not owned and/or operated by us (unless you first receive our express written consent or the consent of the owner of the mark, as appropriate), is strictly prohibited. You may not use metatags or any other “hidden text” utilizing “Attis”, “Attis Health”, “Private Health Intelligence” or any other name, trademark, service mark or product or service name of Attis Health without our prior written consent. In addition, the look and feel of the Website, including all page headers, custom graphics, button icons and scripts, is the service mark, trademark and/or trade dress of Attis Health and may not be copied, imitated or used, in whole or in part, without our prior written consent. Reference to any products, services, processes or other information, by trade name, trademark, manufacturer, supplier or otherwise does not constitute or imply endorsement, sponsorship or recommendation thereof by us. We grant you a limited, personal, non-exclusive, non-sublicensable, non-transferable, non­commercial, revocable license to access and make personal use of the Website (“Use License”). This Use License is subject to your full compliance with these Terms. The Use License does not allow you to: (i) download (other than as necessary for page viewing) or modify the Website or the Content, or any portion thereof, except with our express prior written consent; (ii) reproduce, distribute, duplicate, republish, copy, sell, resell or otherwise exploit or make any commercial use of the Website or the Content; (iii) collect and use any of our offerings, product listings, descriptions or pricing thereof or otherwise attempt to or download and/or copy user account information for benefit of another or in violation of the Use License; (iv) make any derivative use of the Website or the Content; (v) use any data mining or reverse engineering tools, spiders, robots, or similar data gathering and extraction tools; (vi) frame or utilize framing or linking techniques, caches or similar techniques including without limitation for the purposes of enclosing any trademark, logo, or other proprietary information (including images, text, page layout, or form) located on the Website. Notwithstanding the above, when certain Content is made available for download or printing (such as certain wellness plans or other features of the Website where a print or download key is indicated on the specific webpage of the Website) you may print or download the page or the available material, as applicable, solely for your personal use or for non-commercial purposes subject to the Use License. Any unauthorized use of the Website or violation of these Terms and the Use License automatically terminates your permission to use our Website. Certain functionalities on the Website may allow you to submit, upload, post, or create (collectively “submit”) certain types of content (“User Content”). Except as explicitly provided in these Terms, you acknowledge and agree that we do not guarantee any confidentiality with respect to any User Content you submit. You shall retain all ownership rights to and shall be solely responsible for your own User Content and the consequences of submitting and publishing such User Content. You affirm, represent, and warrant that you own or have the necessary licenses, rights, consents, and permissions to create and publish any User Content you submit. You may not upload or post any User Content on the Website that infringes the copyright, trademark or other intellectual property rights of a third party nor may you upload User Content that violates any third party’s right of privacy or right of publicity. You may upload only User Content that you are permitted to upload by the owner or by law. By submitting any User Content, you grant us a worldwide, perpetual, non-exclusive, royalty­free, sub-licensable and freely transferable license to use, publish, reproduce distribute, disseminate, copy, prepare derivative works of and display, in whole or in part, the User Content, without additional approval or consideration, in any form, media, or technology now known or later developed for the full term of any rights that may exist in such User Content, and you hereby waive any claim to the contrary. You acknowledge and agree that User Content may be utilized by our users in various ways over which we do not have any control and you expressly release us from any claims with respect to any use of User Content by any third parties. We do not endorse any User Content submitted to the Website and expressly disclaim any and all liability in connection with such User Content. We reserve the right to remove or modify any User Content in any manner, at any time and without prior notice. If you find any inappropriate Content on the Website, we encourage you to report such inappropriate content to: general@attis.com. We strictly prohibit the use of the Website for offensive, illegal or harming purposes. You agree not to use the Website (i) to create, edit, post or share any content that is harmful, unlawful, obscene, libelous, racist, hateful, or criminal or that violates the privacy of others or any other illegal, offensive or inappropriate content, and/or (ii) for purposes that are illegal, obscene, threatening, defamatory, invasive of privacy, infringing of intellectual property rights, or otherwise objectionable, as determined in our sole and absolute discretion. Certain content and functionalities of our Website may require registration in order to be able to enjoy such content and functionalities. In order to register an account you must provide certain information when prompted. This information may include, without limitation, the following: (i) full name, email address, telephone number and physical address; and (ii) user names and passwords. We reserve the right to decide which content and functionalities require registration or will require registration in the future. You are responsible for maintaining the confidentiality of your account and password and for restricting access to your computer and mobile devices, and you agree to accept responsibility for all activities that occur under your account or password. You agree to notify us immediately in the event of any known or suspected unauthorized use of your user account, or any known or suspected breach of security, including loss, theft, or unauthorized disclosure of your or anyone else’s password. You are entirely responsible for any and all activities which occur under your user account. You may not use a false e-mail address, impersonate any person or entity or otherwise mislead as to your identity. If you provide any information that is untrue, inaccurate, or incomplete, or we have reasonable grounds to suspect that such is the case, we reserve the right to suspend or terminate your user account and refuse any and all current or future use of our Website. Please note that Attis Health is in the business of providing services to adults or entities who/which, among other things, can legally enter into credit card transactions or other permitted payment methods and agreements. You represent and warrant that you are the authorized signer for any payment method you use in connection with the Website. We reserve the right to refuse service, terminate accounts, remove or edit the Content, or cancel orders in our sole discretion. In accordance with the Digital Millennium Copyright Act and other applicable laws, we have adopted a policy of terminating accounts and/or pursuing other remedies, at our sole discretion, if we suspect that the account holder has infringed the intellectual property rights of Attis Health or any third party. THIS WEBSITE INCLUDING THE CONTENT AND ALL INFORMATION, MATERIALS, PRODUCTS AND SERVICES INCLUDED ON OR OTHERWISE MADE AVAILABLE TO YOU ARE PROVIDED BY US ON AN “AS IS” AND “AS AVAILABLE” BASIS, UNLESS OTHERWISE SPECIFIED IN WRITING. WE MAKE NO REPRESENTATIONS OR WARRANTIES OF ANY KIND, EXPRESS OR IMPLIED, AS TO THE OPERATION OF THE WEBSITE OR THE CONTENT, INFORMATION, MATERIALS, PRODUCTS OR SERVICES INCLUDED ON OR OTHERWISE MADE AVAILABLE THROUGH THE WEBSITE, UNLESS OTHERWISE SPECIFIED IN WRITING, YOU EXPRESSLY AGREE THAT YOUR USE OF THE WEBSITE IS AT YOUR SOLE RISK. TO THE FULL EXTENT PERMISSIBLE BY APPLICABLE LAW, WE DISCLAIM ALL WARRANTIES, EXPRESS OR IMPLIED, INCLUDING, BUT NOT LIMITED TO, IMPLIED WARRANTIES OF MERCHANTABILITY AND FITNESS FOR A PARTICULAR PURPOSE. WE DO NOT WARRANT THAT THE WEBSITE, THE CONTENT, INFORMATION, MATERIALS, PRODUCTS OR SERVICES INCLUDED ON OR OTHERWISE MADE AVAILABLE THROUGH THE WEBSITE ARE FREE OF VIRUSES OR OTHER HARMFUL COMPONENTS. IN NO EVENT SHALL WE OR ANY OF OUR AFFILIATES, SUBSIDIARIES, PARENTS, CONTRACTORS, SUPPLIERS, SERVICE PROVIDERS, OR THEIR RESPECTIVE MEMBERS, MANAGERS, DIRECTORS, OFFICERS, REPRESENTATIVES, ATTORNEYS, EMPLOYEES, SHAREHOLDERS, PARTNERS OR AGENTS BE LIABLE FOR ANY INCIDENTAL, INDIRECT, PUNITIVE, EXEMPLARY, OR CONSEQUENTIAL DAMAGES WHATSOEVER (INCLUDING, WITHOUT LIMITATION, DAMAGES FOR LOSS OF PROFITS, BUSINESS INTERRUPTION, LOSS OF BUSINESS INFORMATION, OR ANY OTHER PECUNIARY LOSS) ARISING FROM THE USE OF THE WEBSITE OR FROM THE CONTENT, INFORMATION, MATERIALS, PRODUCTS OR SERVICES INCLUDED ON OR OTHERWISE MADE AVAILABLE THROUGH THE WEBSITE, WHETHER THE DAMAGES ARISE FROM USE OR MISUSE OR RELIANCE OR, INABILITY TO USE THE WEBSITE OR ANY OF THE CONTENT, INFORMATION, MATERIALS, PRODUCTS OR SERVICES INCLUDED ON OR OTHERWISE MADE AVAILABLE THROUGH THE WEBSITE, OR WHETHER THEY ARISE FROM THE INTERRUPTION, SUSPENSION, MODIFICATION, ALTERATION, OR TERMINATION OF THE WEBSITE OR ANY CONTENT, INFORMATION, MATERIALS, PRODUCTS OR SERVICES INCLUDED ON OR OTHERWISE MADE AVAILABLE THROUGH THE WEBSITE. IN NO EVENT, SHALL OUR TOTAL MAXIMUM AGGREGATE LIABILITY UNDER THESE TERMS EXCEED THE AMOUNT ACTUALLY PAID, IF ANY, TO US BY THE INJURED PARTY. IN ANY JURISDICTION THAT DOES NOT ALLOW FOR THE LIMITATION OR EXCLUSION OF LIABILITY FOR INCIDENTAL OR CONSEQUENTIAL DAMAGES, OUR LIABILITY AND THE LIABILITY OF ANY OF OUR AFFILIATES, SUBSIDIARIES, PARENTS, CONTRACTORS, SUPPLIERS, SERVICE PROVIDERS, OR THEIR RESPECTIVE MEMBERS, MANAGERS, DIRECTORS, OFFICERS, REPRESENTATIVES, ATTORNEYS, EMPLOYEES, SHAREHOLDERS, PARTNERS OR AGENTS SHALL BE LIMITED TO THE MAXIMUM EXTENT PERMITTED BY LAW. You agree to indemnify and hold us and our affiliates, subsidiaries, parents, contractors, suppliers, service providers, and their respective members, managers, shareholders, directors, officers, agents, attorneys, representatives, partners, and employees (“Indemnified Parties”), harmless and, at our option, defend the Indemnified Parties from any and all third party claims, liability, damages and/or costs (including, but not limited to, reasonable attorneys’ fees and expenses) arising from your improper use of this Website or our products, services, or offerings, your violation of these Terms, or your infringement, or the infringement or use by any other user of your account, of any intellectual property or other right of any person or entity. We reserve the right, at your expense, to assume the exclusive defense and control of any matter otherwise subject to indemnification by you, and in such case, you agree to cooperate with our defense of such claim. You may stop using the Website at any time and in your sole discretion provided that you contact us and request to delete your account and cancel your membership. Note that the termination of an account or a membership does not delete the information posted by you and you may need to contact us directly to request editing, deletion or removal of such information. If your account is terminated, your rights to use the Website will cease immediately. You agree that the laws of the State of New York, without regard to principles of conflicts of laws, will govern these Terms and any dispute of any sort that might arise between you and us. Any dispute relating in any way to your visit to this Website or your use of the Content shall be solely settled by final and binding arbitration administered by the American Arbitration Association in New York City and judgment on the award rendered by the arbitrator(s) may be entered in any court having jurisdiction thereof. Notwithstanding the above, Attis Health shall have the right to apply to any court of competent jurisdiction for temporary or permanent injunctive relief without breach of this section. Without derogating from the above, any claim that you may have in connection with these Terms must first, and before taking any other legal action, be submitted to us in the form of a complaint to: general@attis.com to enable the parties to resolve the claim in a friendly and effective manner. If the parties fail to resolve the claim in this manner in a reasonable timetable, or if any other claim or dispute in connection with these Terms arises, it shall be resolved as specified above. You agree to receive communications from us electronically regarding your account, these Terms and the Website, and such communications sent from us shall be considered sufficient means of notice, whether applicable law requires written notice or not. You further agree that your electronic communications are not confidential. For purposes of this Policy, “Personally Identifying Information” shall mean information which is identifiable to and is voluntary submitted to us by you, including by not limited to, e-mail, phone number, name and address; “Anonymous Information” shall mean information which does not enable identification of an individual user. Attis Health does not knowingly collect or maintain Personally Identifying Information from any person under the age of 18 (“Minors”). MINORS MAY NOT USE THIS WEBSITE. IF WE LEARN THAT ANY PERSONAL INFORMATION ABOUT ANY MINOR HAS BEEN COLLECTED WITHOUT PROPER CONSENT, WE WILL TAKE REASONABLE STEPS TO DELETE ANY SUCH INFORMATION. From those Users to whom we provide products or services, we may collect and use limited usage information, including Personally Identifying Information in order to provide you with our products and services and in connection with user logins and passwords in order to monitor membership compliance. This information is kept confidential and is not shared or sold to third-parties. If you include Personally Identifiable Information as part of any User Content that you provide to us via any public posting features of the Website, including without limitation any forum posts, reviews, or discussion board, such information may be viewable and available to any users of the Website. If you do not wish to have your Personally Identifiable Information made available in this manner, you should not include such Personally Identifiable Information as part of your User Content. As part of our membership and/or registration process, you may be asked to voluntarily submit limited personal information in order to create an account (typically name, age, email address, phone number, payment information (if applicable) and unique password). Attis Health may provide your contact information to its partners, business affiliates or to third party service providers who work for Attis Health or operate some of its functionalities or its related services or communicate with Users to operate these functionalities or services. However, the partners and business affiliates will be authorized to use the contact information only to deliver our services or notices regarding our services, such as customer support, billing or other ancillary services, to you. In no event shall the business affiliates or partners be authorized by us to use the contact information for other purposes, which are not related to delivering our services or notices to you and will not be authorized to contact you directly for other purposes. You may be able to register to receive updates and promotions or site surveys. The contact information you submit will not be used for these purposes unless you specifically opt in. Attis Health may use the collected information about your browser, operating system or other technical details of your usage to improve your experience with our services. Attis Health may further use the collected Anonymous Information (non-identifying information) about usage patterns, time of usage and form of usage, to improve the experience and to be able to improve Attis Health’s offering of our services to users. Attis Health reserves the right to use and disclose, in its sole discretion, Anonymous Information to third parties, including our partners, in order to target information presented to you. Anonymous Information disclosure in this regard may also include selective disclosure of search terms, as long as it does not explicitly reveal Personally Identifying Information. If Attis Health, in the future, will go through business transition such as a merger, acquisition by another company, or sale of all or a portion of its assets, your Personally Identifying Information may be among the assets transferred. You expressly acknowledge that such transfers may occur, and that any acquirer of Attis Health or its assets may continue to use your Personally Identifying Information as set forth in this Policy. You hereby consent to such use if done according to this Policy. Attis Health may use the metadata, including, but not limited to, tags, search history, links, comments, posts and clickstreams, which is created in the process of using our services to enrich User’s experiences and provide Users and affiliates with useful information, in accordance with this Policy. Attis Health may use this collected information for targeted services and contextualized placement of sponsored content. However, search history information may be shared with third parties only in its anonymous form (i.e. the Anonymous Information) and without disclosing any Personally Identifying Information which is associated with or related to this information. We take reasonable steps to protect the Personally Identifying Information from loss, misuse and unauthorized access, disclosure, alteration and destruction. We have put into place appropriate physical, electronic, and managerial procedures to safeguard and secure the Personally Identifiable Information from loss, misuse, unauthorized access or disclosure, alteration or destruction. In the event that a User enters sensitive information (such as credit card numbers) on our registration or order forms, as may be applicable, we encrypt that information using encryption techniques common in e-commerce, such as secure socket layer technology (SSL). To learn more about SSL, follow this link: http://en.wikipedia.org/wiki/Secure_Sockets_Layer. We follow generally accepted industry standards to protect the personal information submitted to us, both during transmission and while maintaining this information. No method of transmission over the Internet, or method of electronic storage, is 100% secure. We cannot guarantee the security of Personally Identifiable Information on or transmitted via the Internet. We will use membership or registration information provided by Users only to provide or update our services, and we will not sell or license that information to third parties. We reserve the right to disclose your Personally Identifiable Information if we are required to do so by law or if we believe that disclosure is necessary to protect our rights and/or comply with a judicial proceeding, court order, or legal process. This Website is hosted in the United States of America. If you are accessing this Website from other jurisdictions, please be aware that you are transferring your personal information to us in the United States. By using any of this Website, or providing us with any information, you fully understand and consent to the collection, transfer, processing and storage of your information in the United States, a jurisdiction in which the privacy laws may not be as comprehensive as those in the country where you reside and/or are a citizen. Any persons accessing this Website from any jurisdiction with laws or regulations governing the use of the Internet, including personal data collection, use and disclosure, may only use the Website in a manner lawful in their jurisdiction. If your use of this Website would be unlawful in your jurisdiction, you must not use this Website.